AMD took another step ahead toward what it calls "ambidextrous computing" on Monday, announcing a framework for bringing together ARM processors with its own X86 chips in what it calls "Project Skybridge". From a technical standpoint, Project SkyBridge combines the world's two most popular processor architectures: X86, a high-performance chip architecture which dominates the PC, server, and notebook space, and ARM, the low-power, de facto chip architecture for tablets and smartphones. SkyBridge chips, whether they be based on ARM or X86, will be pin-compatible, meaning that they will be able to be used on the same motherboard with minimal changes, if any. For AMD, SkyBridge and ARM represents an opportunity to break out from the X86 rat race, where it has been competing with Intel in the PC, X86, and server space. At a press conference Monday, AMD said that it would take an architectural license from ARM to begin developing its own in-house ARM chips by 2016. In the meantime, it showed off "Seattle," or Opteron A1100, which the company announced last year. Seattle integrates up to eight ARM A57-based core designed by ARM itself. Between 2014 and 2016, however, AMD will establish SkyBridge, which it calls a framework for future computing efforts in the client and embedded space. Although many expected AMD to push forward after Seattle with additional server chips, AMD shied away from declaring SkyBridge a technology for the server space, instead characterizing it as a broader approach for a variety of markets, including APUs that combine processing and graphics. AMD's new chief executive, Rory Read, has made clear that AMD can't necessarily go head-to-head with rival Intel in PCs and servers. Read's priorities have been to remake the company around designing semi-custom chips for game consoles, specialized servers, and other niches that could potentially blossom into new markets. "There's no doubt that AMD is transforming," Read said. "We're building a differentiated AMD." Differentiation is critical for AMD, since the company is struggling in the traditional X86 server market. 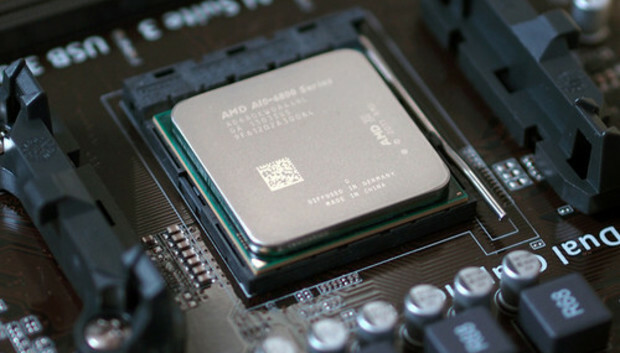 According to Mercury Research, AMD topped out a peak of 26.2 percent in the X86 server market in the second quarter of 2006, it's all-time high. But since then, AMD's share has steadily declined: to 4.7 percent in the first quarter of 2013, and to just 2.8 percent in the first quarter of 2014, Mercury said. AMD executives spoke relatively little about Seattle, a chip AMD began talking about last year alongside chips code-named Warsaw and Berlin, more traditional offerings that will go to head to head with Intel's Xeon. AMD showed off Seattle running a LAMP stack, as well as the WordPress blogging platform, and serving video. Seattle will eventually be demonstrated as part of the company's SeaMicro business unit, the system business AMD bought in 2012, according to senior vice president Lisa Su. AMD executives didn't exactly make clear what the selling points of SkyBridge would be to customers. According to Paul Santeler, the general manager of Hewlett-Packard's Hyperscale business unit, however, providing both ARM and X86 solutions provides a "pretty fair fight" that will allow a customer to use them interchangeably. "There's not too many devices that you can touch that don't have ARM in them," he said. At AMD, however, the addition of the ARM technology adds another arrow to its technology quiver, executives said. "We've done servers, we've done high frequency, we've done scalability," Jim Keller, the head of the design team on the AMD K12, said of the addition of the ARM license. "With ARM, we can extend the range." According to Mark Papermaster, AMD's chief technology officer, SkyBridge will be "the underpinnings of all of our ambidextrous designs going forward," he said. SkyBridge will be implemented in 20-nm designs, the next step beyond AMD's current 28-nm manufacturing node. Executives did not reveal any details about the K12, including its manufacturing process or its expected capabilities.